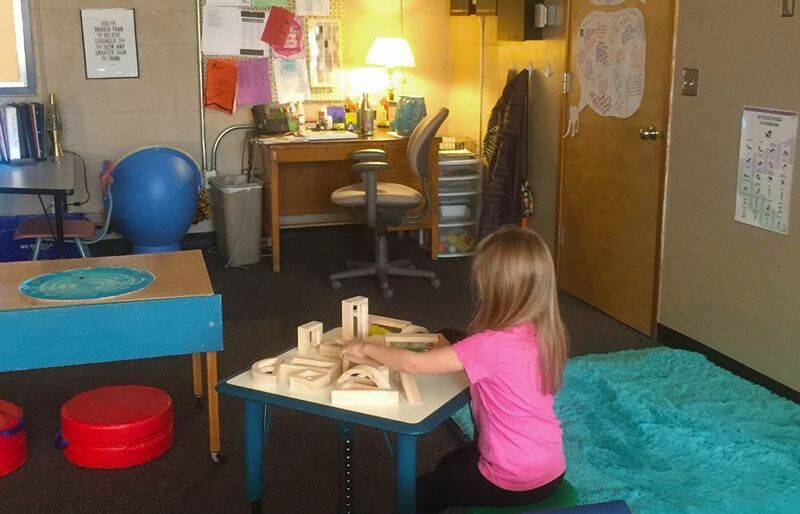 Redland Elementary School is helping students dealing with stress, depression and anxiety through a new rest and return room, a quiet place to regulate their emotions during the school day. "We created a calming atmosphere where we can coach student regulation and then help students translate those skills into the classroom," said Principal Rebekah Beck. "The goal of the new facility is teaching children how to keep themselves in control in emotionally charged situations and develop the inner control that allows them to use strong emotions effectively without erasing them." Student visits are recorded with the date, time, strategies used, and the student's stress level rating when they arrive and before they leave. Oregon City School District counselor Michelle Blanchard works closely with the program.